Your newborn’s sleep is top priority. So finding a comfortable bassinet to fit his or her needs is imperative. Since a baby's sleep schedule tends to be approximately 14 to 18 hours per day, you're going to depend on your bassinet so much during your infant's first few months. 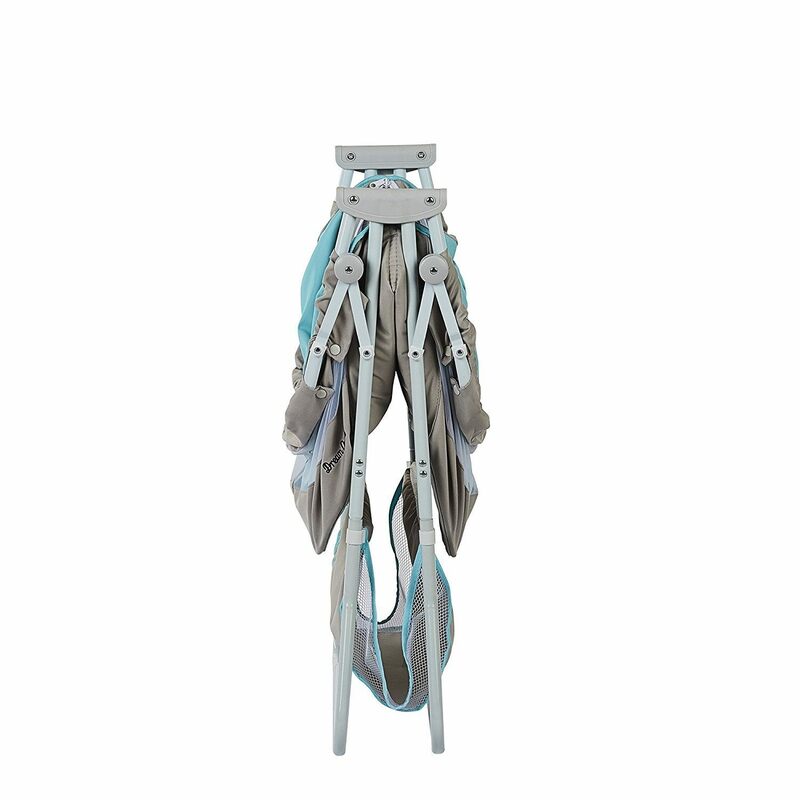 The Dream On Me Karley Bassinet has received rave reviews on the web. 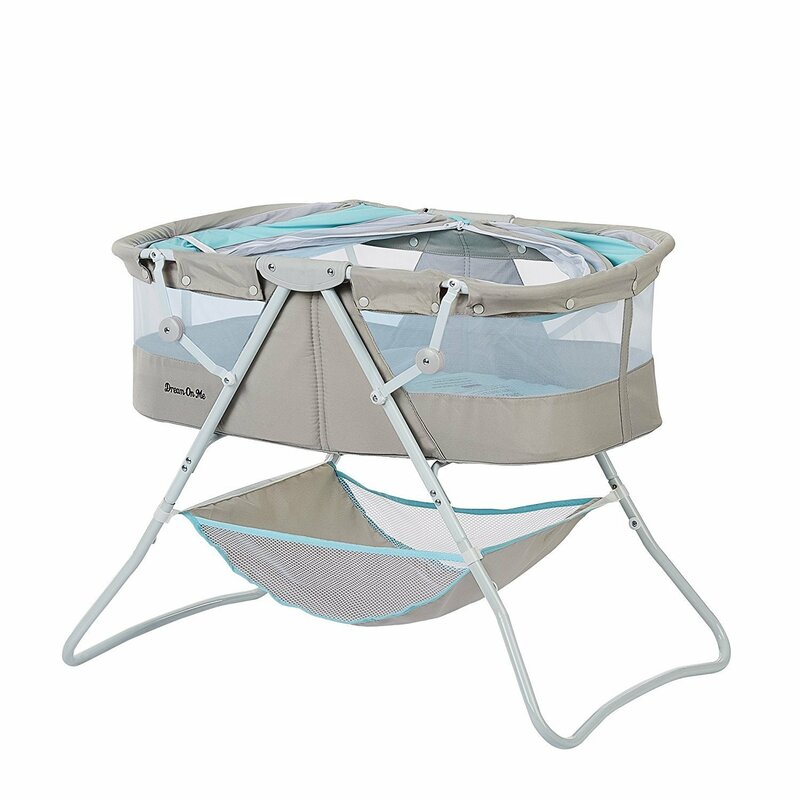 It has even been listed as one of the top ﻿10 best baby bassinets in 2019. We dug deep to find out the nitty-gritty on this popular nursery phenomenon. Here is our take on it! Read on for a detailed review of the Dream On Me Karley Bassinet. Who is Dream On Me? Dream On Me Inc. is family owned and operated since 1988. They take pride in quality service and customer satisfaction, providing quality baby products including an assortment of quality gifts and accessories, cribs, bedding, walkers and strollers. With professional expertise and tough standards, they ensure top quality merchandise at low prices assure the Dream On Me Inc. customer a great buying experience. 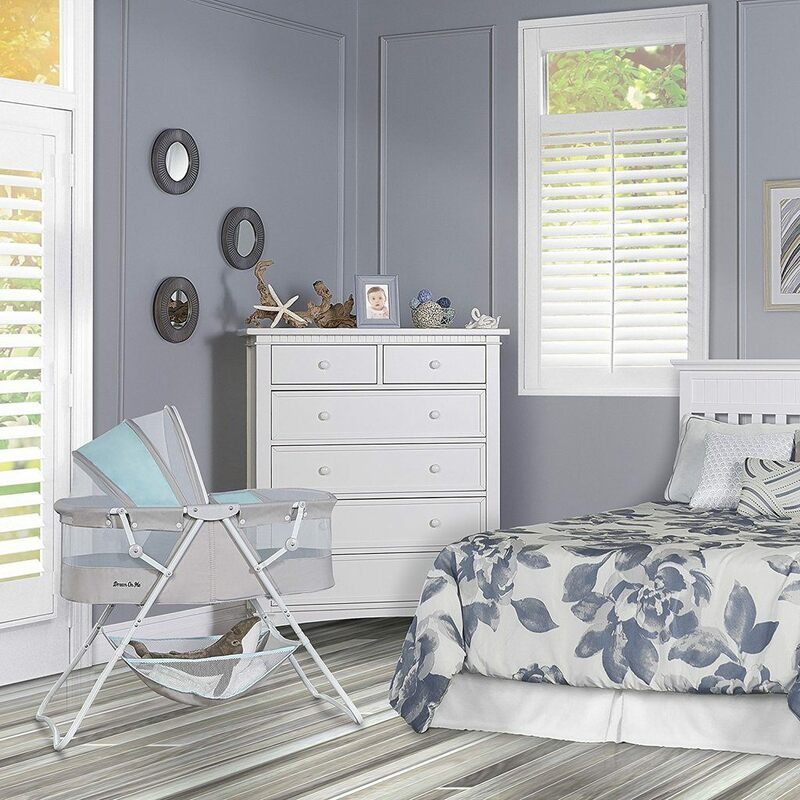 The Dream on Me Karley Bassinet adds a touch of color to any nursery with its lean modern contemporary design. The charming cuddly bassinet allows you to keep your newborn to 3-month old baby close, secure and extremely cozy day and night. Featuring a soft and delicate fabric with a adjustable double canopy, this sturdy bassinet also has a large storage basket underneath with locking swivel casters, so you can easily move it from room-to-room. The Dream On Me Karley Baby Bassinet has been named a favorite by moms and review critics alike for years. Its dynamic features gives it a widespread appeal to many. Plus, everyone loves a good deal - the price is perfect for those who are budget conscious. The Dream On Me designers created many innovative features keeping the budget-friendly mom in mind. A brand new Dream On Me Karley Bassinet costs between $54.99 and $69.95. For those super-thrifty moms, Amazon offers an "open-box" model for about $10 dollars cheaper. It also includes a two-year protection plan for an extra $4.40 along with free shipping when purchased online. Since other similar products cost almost double, its value is exceptional. This model features easy foldable legs. But don't worry, they also include a safety notch-lock. When folded down, it assumes a practically flat position that can fit into almost any trunk, closet, or nook. Its compact and makes it ideal for anyone who wants to take it on-the- go or who has limited living space. This baby bassinet is super lightweight. At just 14 pounds, it can be maneuvered with little effort. Although larger models are adorable in many ways, the Dream On Me Bassinet is perfect for families living in smaller spaces. Minimum assembly is required. The Karley model comes in seven different colors, so it fits every taste. Depending on your preferences, you can opt for typical nursery favorites, such as blue, pink, yellow, and lavender. Or you can choose variations of those, as well as a delightful gray and blue option. ​The Karley Dream On Me Baby Bassinet may be small, but it packs plenty of extras into its compact frame. ​The double canopy that can be zippered closed creates a perfect hideaway for your baby to dream without outside disturbances. ​ Perfect bassinet for the outdoors. If you're a mom on the go or looking for a versatile bassinet that can easily fit into small spaces, look no further. This baby bassinet might be is exactly what you need. One potential drawback is the weight limit. Some of the reviews that we found claimed that 25 pounds might be an overestimate. Manufacturer states up to 10 lbs. or up to the first 3 months, depending what comes first. Also, some reviewers recommend purchasing an additional mattress pad for added comfort as the baby grows in weight. There are other bassinet options that have higher weight limits if this is a concern but they not as lightweight and versatile as this one. Many chose to purchase this bassinet for its size and portability. After taking a look at all the online vendors that sell the Dream On Me Karley Bassinet, a majority of buyers tend to lean towards Amazon for their purchasing needs. Even though Amazon doesn’t offer any discounts in regards to the overall cost of the Dream On Me Karley Bassinet, the online retailer does offer yearly protection plans that function as additional insurance on top of the manufacturer's warranty that comes with the product in the first place. For under $70, the Dream On Me Karley Bassinet can be situated on your bedside, giving your body the proper rest it deserves while ensuring your baby sleeps in a comfortable yet safe environment. The Dream on Me Karley baby bassinet has many built in convenient features that make it stand out from the rest. A great value you’ll use during the most precious first few months of your newborn’s life. I would highly recommend buying the Dream on Me Karley baby bassinet. 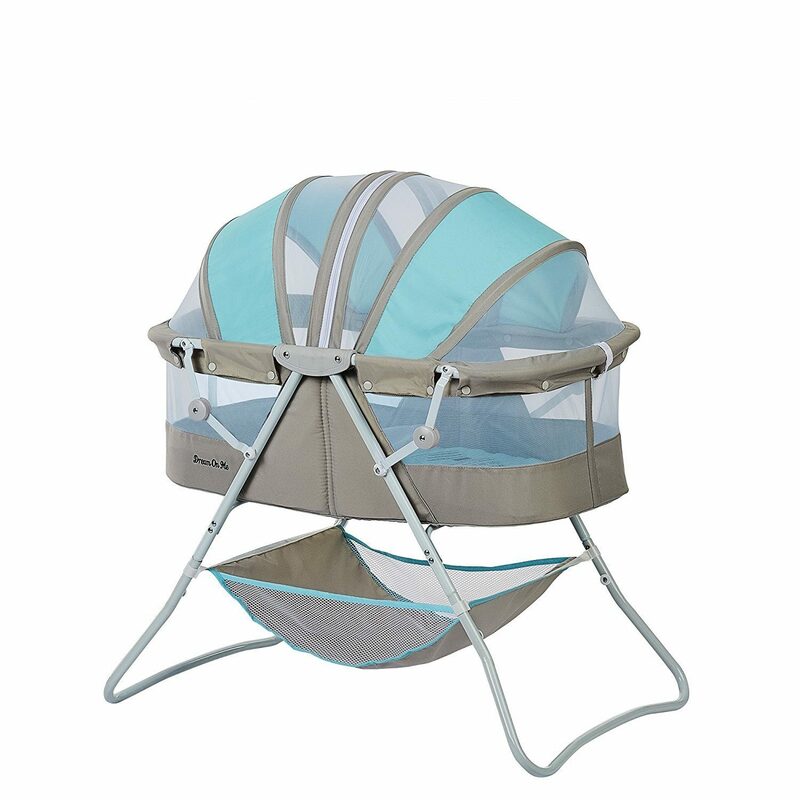 Its understandable why its one of the top 10 best baby bassinets in 2019. What features do you look for when buying a baby bassinet? Share your thoughts.